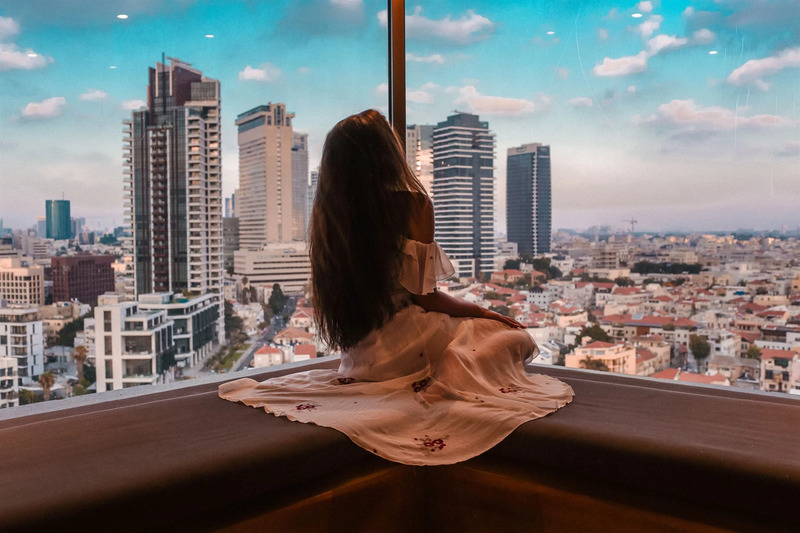 Hello to a new beautiful city - Tel Aviv! And yes, we are a little bit obsessed with traveling to new countries for those of you who have asked haha. Israel has definitely been a dream destination for a long time and I finally got to go here. Only like 3-4 hours direct flight from Stockholm. We are staying in Tel Aviv, but will discover Jerusalem and Dead Sea as well. Can't wait to show you! This is our stunning view from high up at InterContinental Hotel.